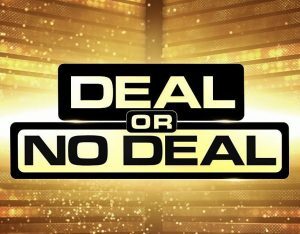 Last December, I posted that some believe that UK Prime Minister Theresa May was trying to run out the clock and leave the Parliament with the choice of her proposed Brexit deal or no deal (see Brexit: Is Theresa May playing ‘Deal or No Deal’?). Mrs May had hoped to persuade the EU to delay the 29 March Brexit date – which is set in law – to 30 June. … But the EU says a further extension beyond 12 April is only possible if the UK agrees to hold European elections on 23 May. The EU’s offer means a no-deal Brexit is considerably less likely on 29 March. But it is not off the table yet and the way forward is far from clear. The EU does not believe that the UK Parliament will vote to accept the deal that it has twice rejected. The EU has also stated before that if the UK withdraws its request to leave the EU that it can stay. Many in the UK do want Brexit cancelled, but many others do not. Theresa May has indicated that the UK will leave, but she also indicated before she would not accept any extension, yet pleaded for (and sort of got) one yesterday in Brussels. So, it is uncertain what she will do if her deal is not approved (voted against for the third time) next week. While I would not agree that Theresa May has been pushing “the worst deal in history,” there are obviously many issues that many have about it. And it was defeated by what may have been the highest margin ever in the British Parliament. I have been warning for some time that Northern Ireland would be a major issue with Brexit, and it clearly is as that is the main issue brought forth for NOT accepting the deal that Theresa May agreed to. Yet, once again, Theresa May seems to hope that given the option of her deal or no deal, that Parliament will choose her route. However, most in Parliament do not seem to want the UK to exit the European Union, so some like at least aspects of Theresa May’s deal. This entry was posted on Friday, March 22nd, 2019 at 7:00 am	and is filed under Prophecy.